Additional Info: Coral was born in Perth, and graduated with a Master of Music from the University of Western Australia. 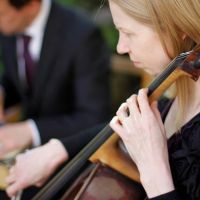 Since moving to the UK, Coral has played with many orchestras and ensembles, and was a member of the Bournemouth Symphony Orchestra for six years. Coral teaches cello at the Oratory Prep School, the Oratory School, Pangbourne College and the Wychwood School.